Last time we heard of the Korean electronic manufacturing company LG, the company had launched the 2018 edition of X5 in Korea, a mid-range phone running on Android Oreo. A few weeks later, the company also launched the Stylo 4. Now it seems that the Korean tech giant might be on to something more exciting in the second half of 2018. On Sunday, LG put out a word that it would be launching a new super-premium version of the V35 smartphone which would go live for sales on August 20. The phone would be priced exorbitantly at $1,830, the company said. It was reported by a Korean news agency, Yonhap, that the phone would also be up for pre-order for two weeks for the interested customers. 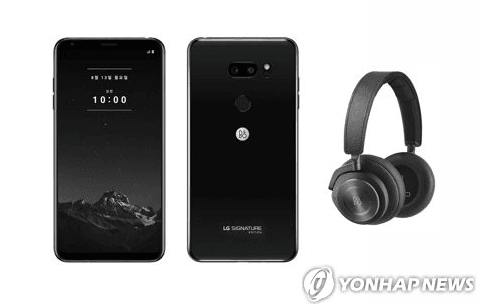 The phone will be the “LG Signature Edition” smartphone, and Only 300 units of the limited-edition phone will be up for sale overall. LG also informed that the device would come covered with the zirconium ceramic material, which is resistant to abrasion. It is noteworthy that the last time LG introduced a super premium device, it sold out entirely in December last year. IANS reported LG’s take on the launch, regarding which the company had said that it had allocated staff exclusively for warranty services of the device. The company also highlighted that customers would have the option of having their names engraved on the phone if they wanted. The handset has been claimed to come with Bang & Olufsen earphones and will have 256GB internal storage. Also, the phone will come with LG Pay payment feature and will boot the latest Android Oreo operating system. Another news from the Seoul, Korea surfaced as Strategy Analytics (SA) Inc.published a report on increasing usage of AI-based features on the phone. The industry consulting firm highlighted that 47.7% of smartphones sold on the global market would be equipped with some on-device AI assistant which would be a significant improvement from 36.6% last year. This report was also published Yonhap and reported by IANS. The report also furnished that Google is set to benefit from this phenomenon as Google Assistant’s market share will witness a surge to 51.3% this year and will rise to 60.6% by 2023. It remains to be seen whether or not the premium phone by LG, the V35 will come with AI features or not. However, given the price point and the extravagant features that LG is claiming for its soon to come phone it is expected that the phone will come with top-end AI based functionalities. Yeah nobody is gonna pay 1.2L for this so called signature edition.